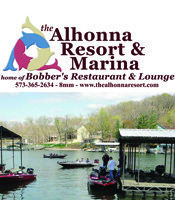 On March 27th, 2014, college students from across the Midwest began arriving at Lake of the Ozarks to compete in the March 28-29 Carhartt Bassmaster College Series Midwestern Regional bass fishing tournament. Of the 87 teams entered in the competition representing 32 different schools, only 14 of them would advance to the Carhartt Bassmaster College Series Nationals scheduled for July 31 – August 2. Bassing Bob is thrilled that one of the teams qualifying for the 2014 national competition is from the University of Missouri’s Bass Fishing Club. Ben Verhoef, the club’s president, and his fishing partner Tommy Hebson finished the two-day tournament in 6th place.